Happy St. Patrick's Day from North Channel Library. In story time this week we made our own rainbow bracelets out of Fruit Loops cereal. Next week in Toddler Time we will be reading books about elephants and talking about the letter E.
Toddler Time is every Tuesday at 10:30 AM for ages 18 months - 3 years old. Look out for changes coming soon including a time change and free tickets available. It’s said that on St. Patrick’s Day, everyone is Irish. Sometimes in the movies, it feels that way. While I do like films set in Ireland, we don’t need those movies to find Irish talents in movies and TV. They are everywhere and always have been, both in front of and behind the camera. So as St. Patrick’s Day approaches, I thought I’d draw attention to the Irish who entertain us. They have become a most welcome part of our movies and television, sometimes without our knowing that they were born and/or raised in Ireland or Northern Ireland. This weekend is St. Patrick's day which means that everybody gets to share in the luck o' the Irish for one great day. And just like you never want to be caught not wearing green on St. Patty's day, you never want to be stuck without something good to read. 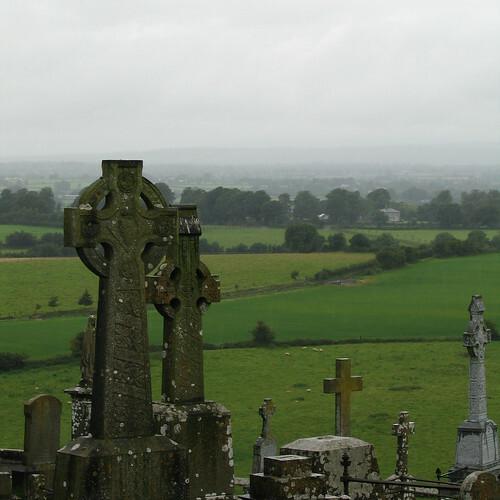 So, indulge your inner leprechaun and check out one of these books set in Ireland! St. Patrick’s Day is nearly here, but you don’t have to be Irish to appreciate the holiday. In fact, everyone is at least a little bit Irish on St. Patrick’s Day! I think it is easy to fall into the habit of romanticizing Ireland - imagining the green hills, dancing leprechauns and pots of gold, enchanting accents, and charming small towns. But there is far more to Ireland than the pretty picture Hollywood has painted for us. Fortunately, Ireland has a number of well-respected movie producers, directors, screenwriters, and actors striving to show the rest of the world the Ireland they know. It is not always the idyllic picture we expect, but it is brimming with history and passion. Happy St. Patrick’s Day! I’m especially fond of this holiday because I do have more than a little Irish blood, something that an inordinate number of people in the U.S. can claim. In fact, it seems that, on March 17, everyone claims to be Irish. Why else would they be chugging all the green beer? In choosing these movies, I decided to concentrate on the romantic image that we have of Ireland and why we have fun celebrating every St. Paddy’s Day.